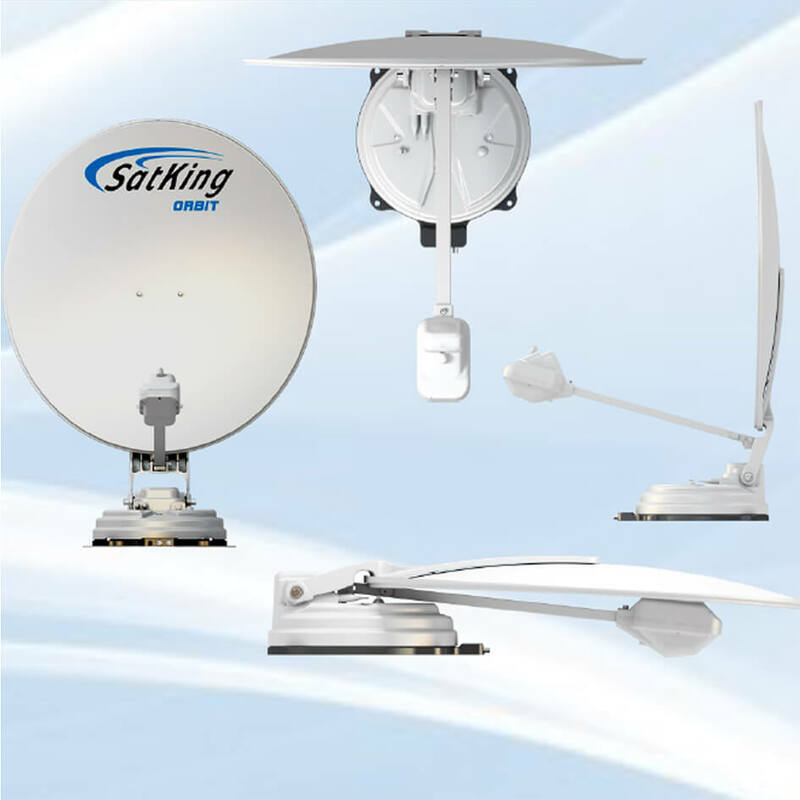 The Satking TV Satellite Dish For Caravan is the latest and fully automatic Satellite dish to hit the Australian market. No need to manually dishes on the ground to watch TV anymore. Simply combine this system with a VAST or Foxtel Satellite receiver and you will be watching TV anywhere in Australia within 80 seconds. 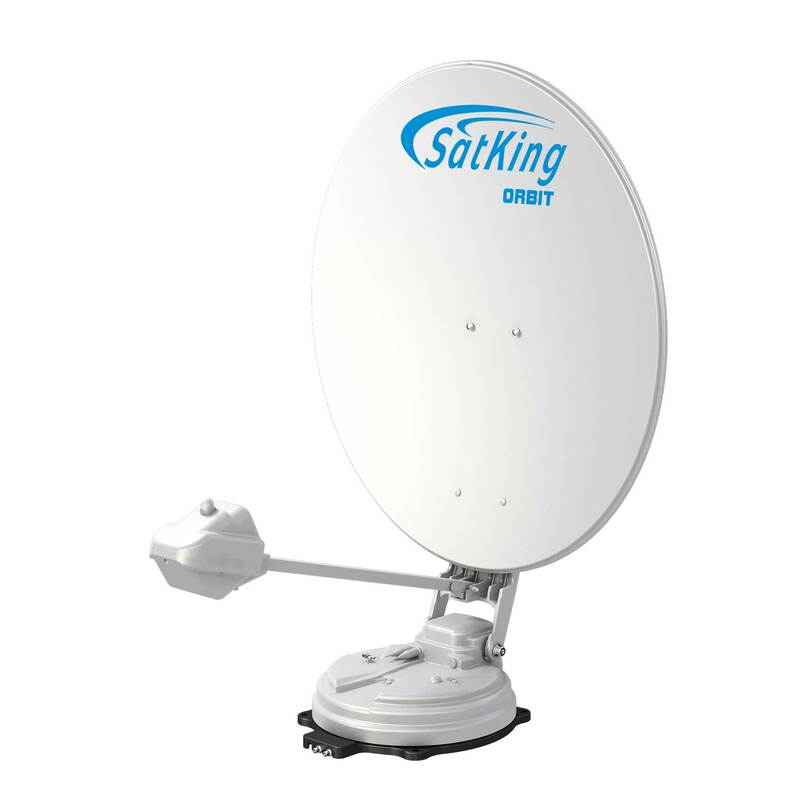 The SatKing Orbit TV Satellite Dish for Caravan has a 85CM high gain dish to provide coverage for VAST & Foxtel Australia wide. Just press OK, simple. Utilising the latest in GPS technology to locate your exact location, the SatKing Orbit will quickly locate the desired satellite signal. The SatKing Orbit is built for harsh Australian conditions, it’s rugged, well made with all metal drive gears. 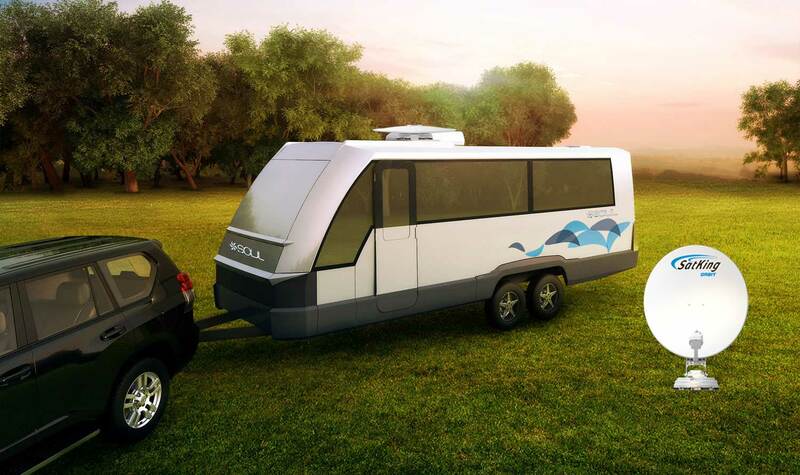 Designed in Australia and produced in Korea, the unit is perfect for travelling off the beaten track. The SatKing Orbit is backed with a 2 year Australian warranty and fully supported by SatKing, a big Australian-owned company. 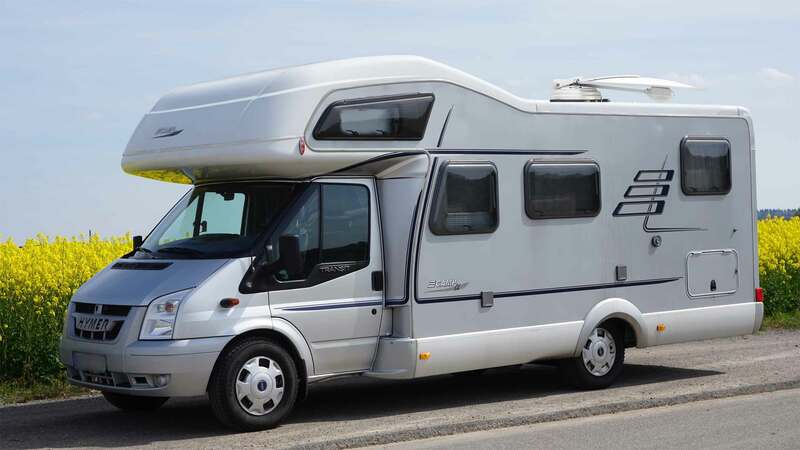 Need assistance or help whilst on the road? Don’t worry, we have a 1300 helpline to assist you on your travels. 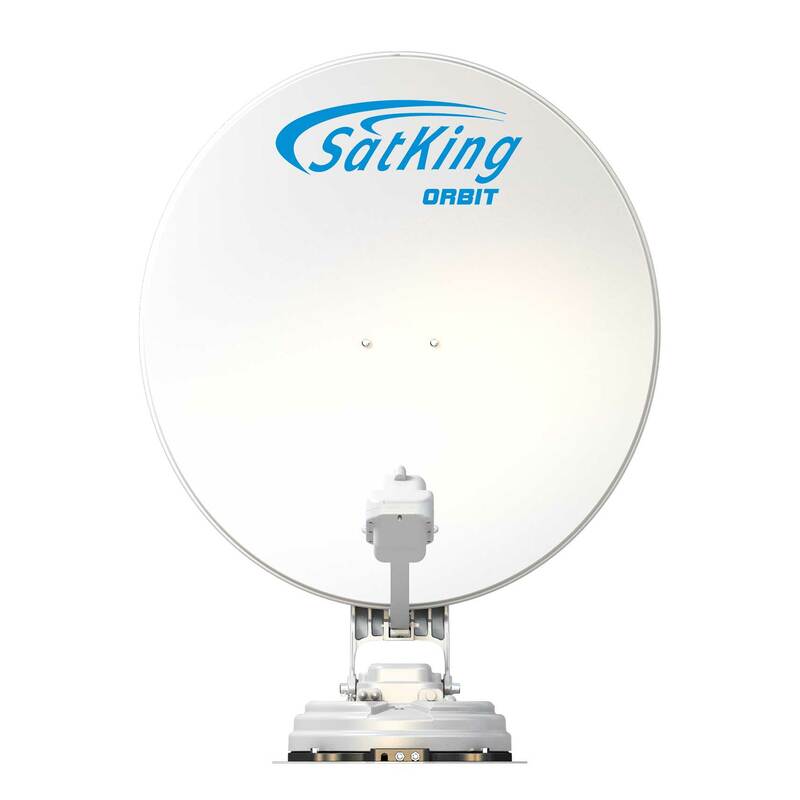 The Satking Orbit TV Satellite Dish For Caravan has recently had a coverage area upgrade for VAST Satellite TV and Foxtel Satellite TV around Australia. SatKing Orbit has provided a map to show the coverage area. 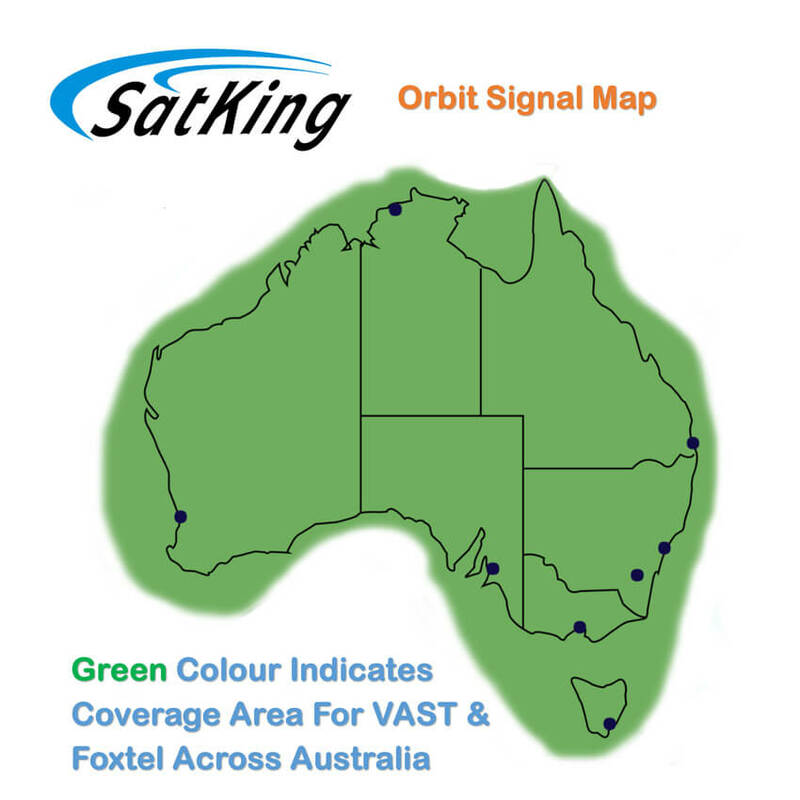 Satking Orbit has dealers spread across Australia, select your state to find your closest dealer.